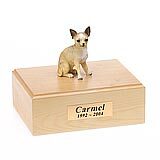 "I can't thank you enough for the attention you've given to my order. 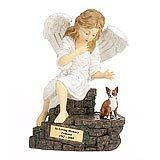 Angel Ashes has been very easy to business with and under the circumstances of losing my sweet baby dog Silver, I truly appreciate it. 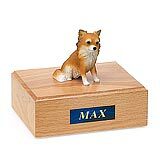 I am also very satisfied and happy with the Library Edition, Three Book, it's just perfect. " 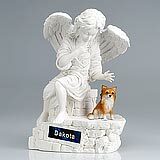 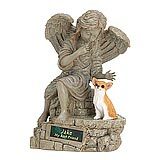 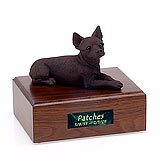 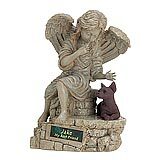 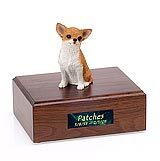 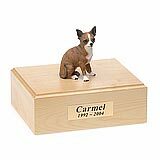 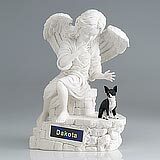 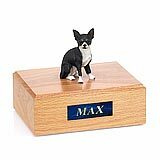 All available Chihuahua dog urns and memorials will be displayed with the figurine on the Chihuahua urn you select and in the appropriate size.